This recipe is so quick and easy. 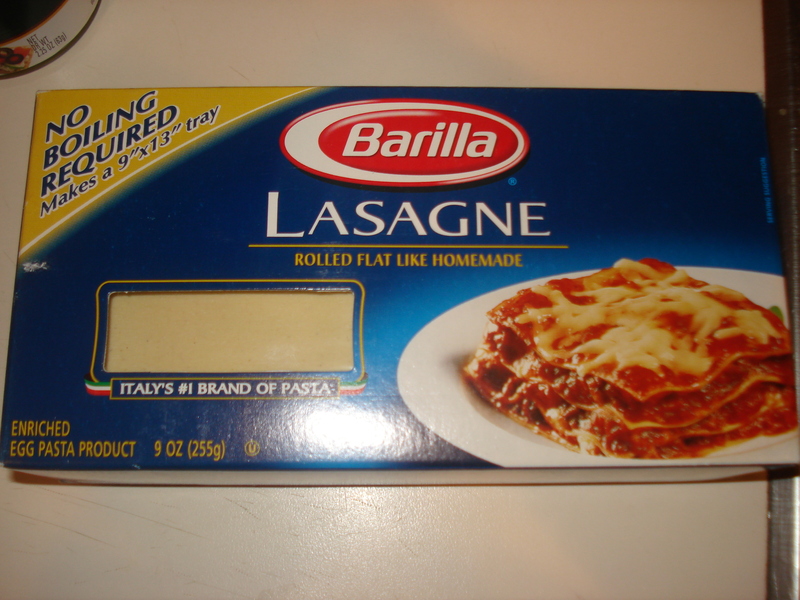 Rather than making a layered lasagna, this is all put together in a saucepan on the stove and it doesn’t take much time to make at all. 1. Heat teaspoon olive olive oil. 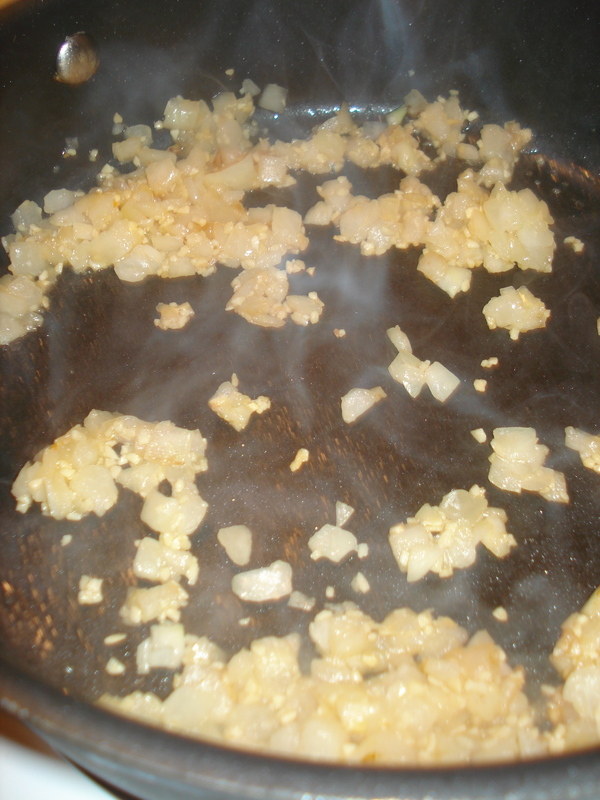 Add onion and garlic, until bright yellow colored. 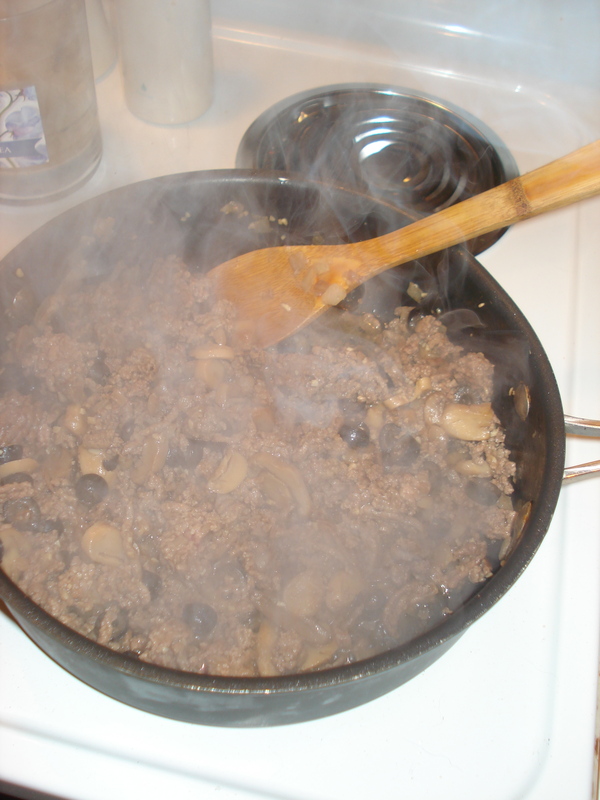 Then add ground beef and cook until browned. Add green peppers, mushrooms, and black olives. 2. Next add pasta sauce, water, salt, pepper, and italian seasoning. Bring to boil. 3. 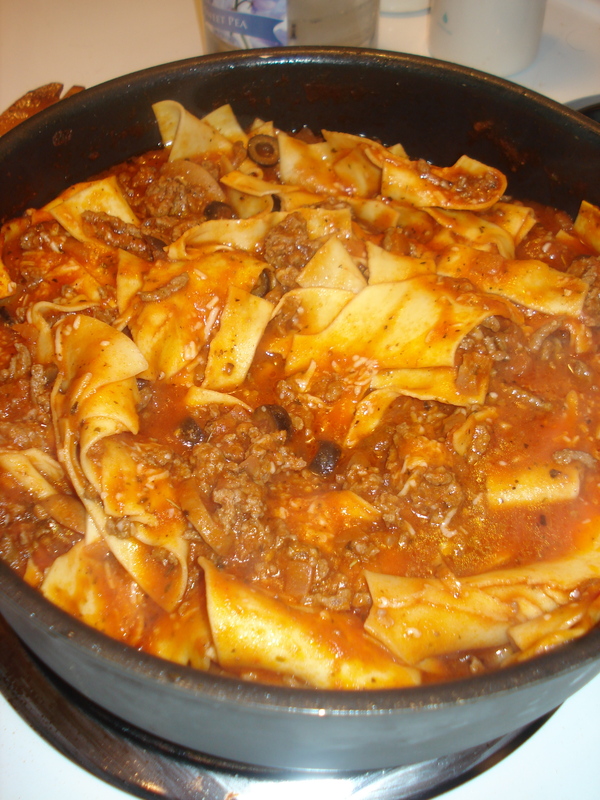 Cut lasagna noodles in to quarters and bring to boil. 4. Cover and cook on medium-low heat 10 – 15 minutes or until noodles are tender. Remove from heat, sprinkle with cheese, cover and let stand for 5 minutes or until cheese is melted. Looks easy and good! 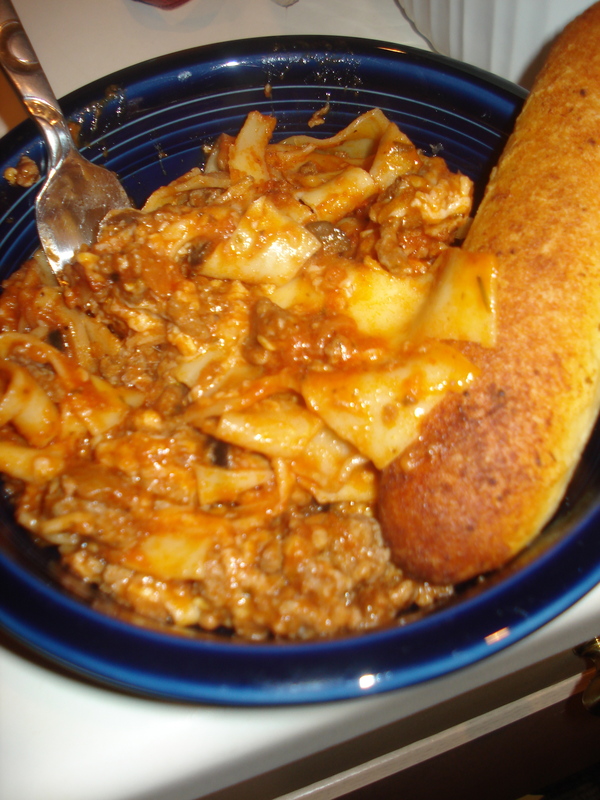 Have you ever tried crock pot lasagna? I never have but it seems so easy too! This reminded me of that! No I haven’t but I actually have a recipe for one and I’ve been meaning to try it! I love quick and easy recipes! Welcome to Cavities and Cravings!